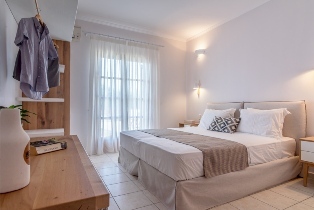 Welcome to Konstantinos Bed & Breakfast. 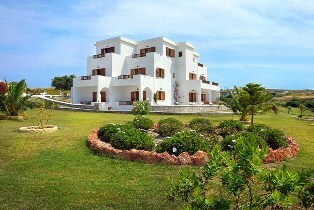 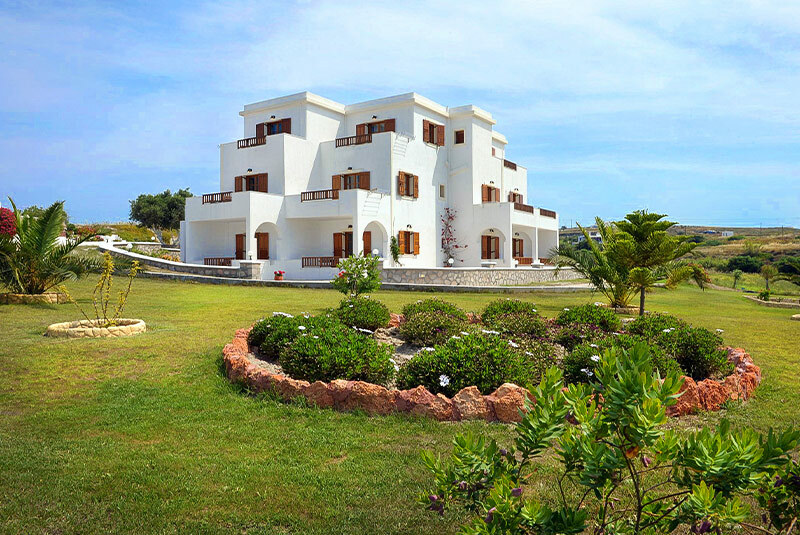 Konstantinos Bed and Breakfast is in a quiet area of Adamas, called Perivolia, on a hill facing the gulf. Our building is amongst fields and scattered buildings away from our land of 4000 sq.m, where you may enjoy a planted garden, own parking, and playgrounds. 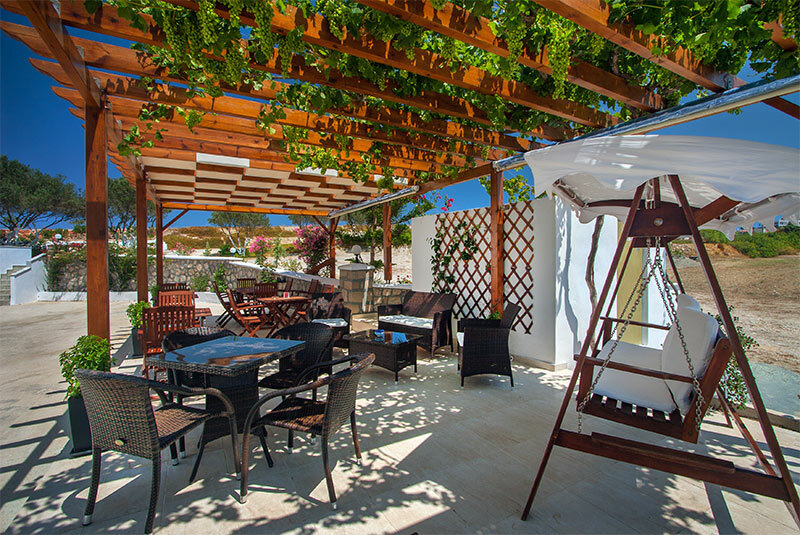 You may easily reach the center of Adamas, with its port, shops and restaurants, gas station and other services. 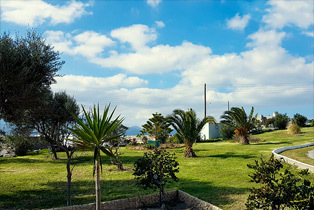 Adamas is 3-minute away by car. 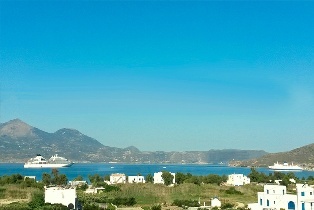 This also implies you may comfortably reach all beaches and places of interest of Milos. 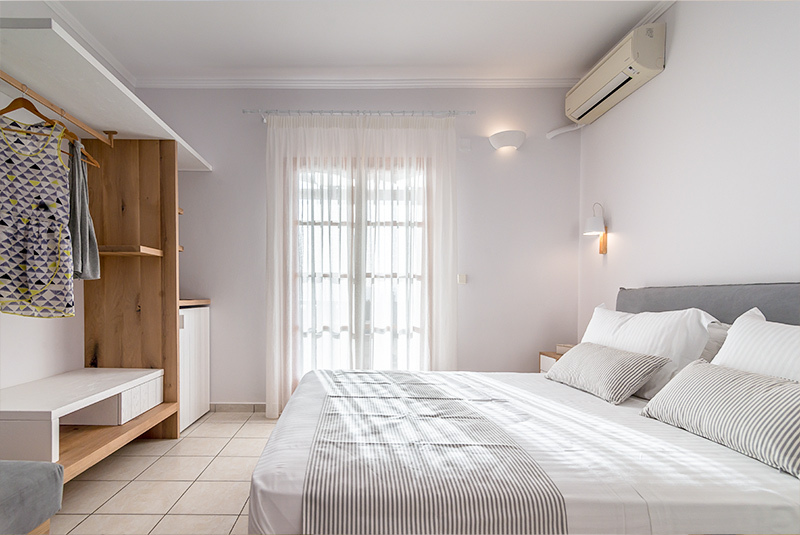 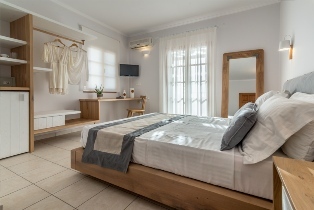 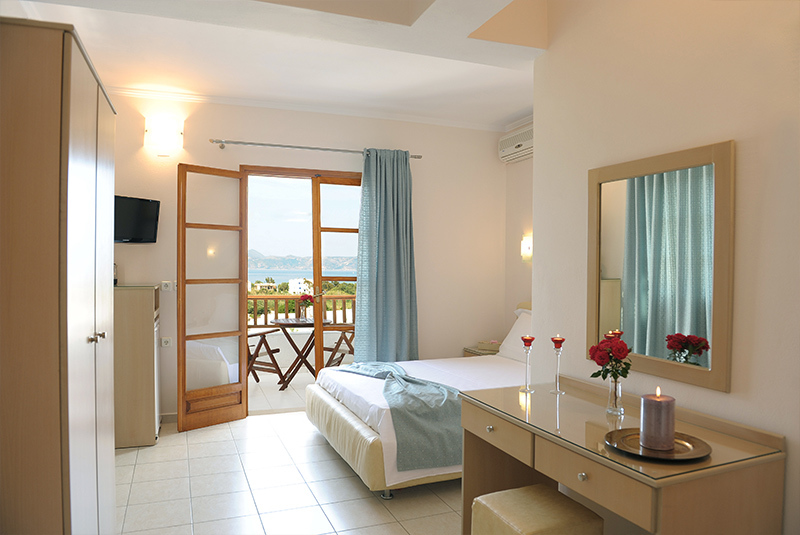 At Konstantinos Bed and Breakfast we have 14 double rooms, of which nine face the gulf and the remaining our garden. 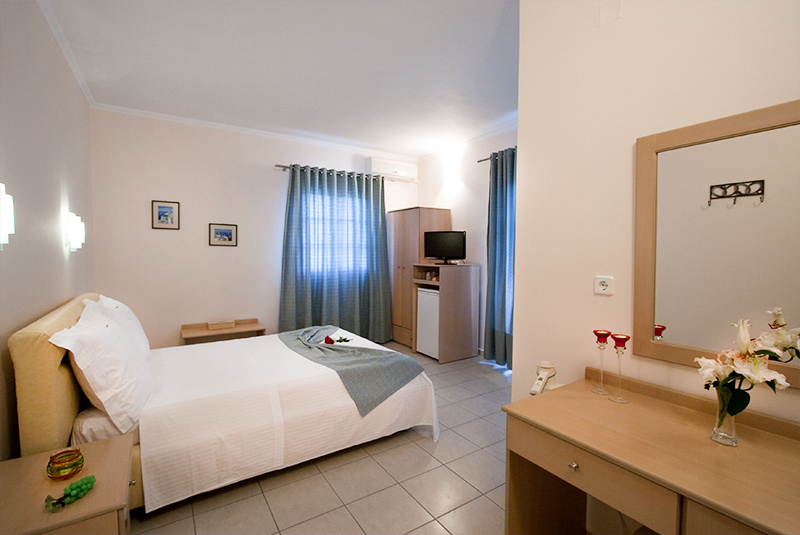 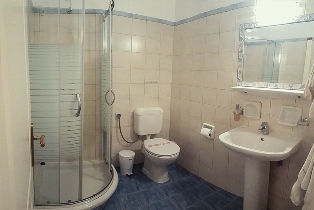 Two rooms can host 3 or 4 persons. Each room is equipped with all comforts, including own bathroom, fridge, A/C, TV, free Wi-Fi, and a kettle. 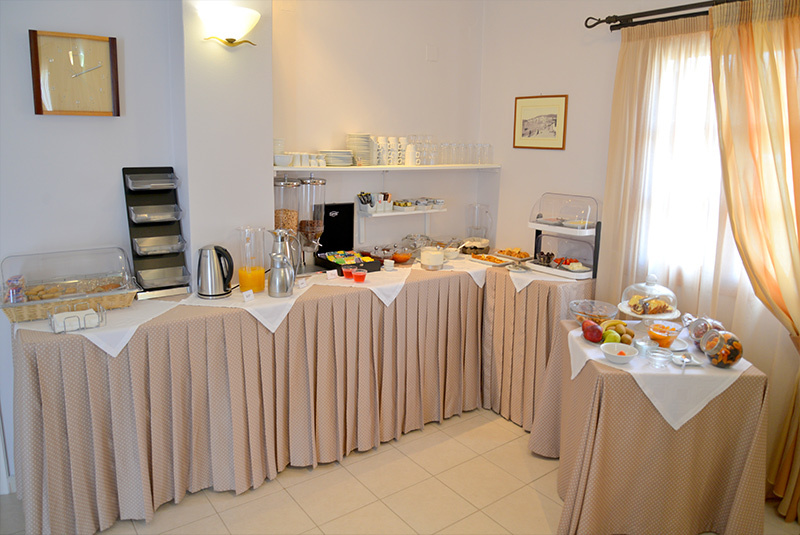 On request, we serve a rich breakfast in a proper area, outside in the garden over a terrace. 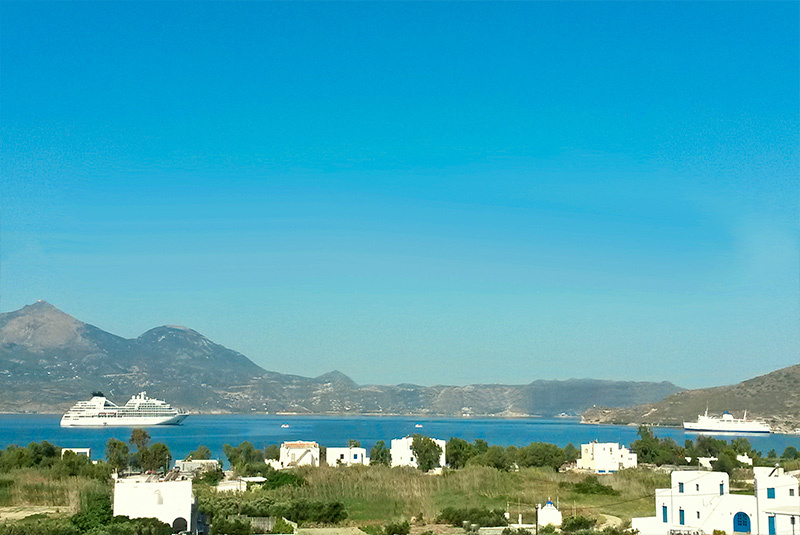 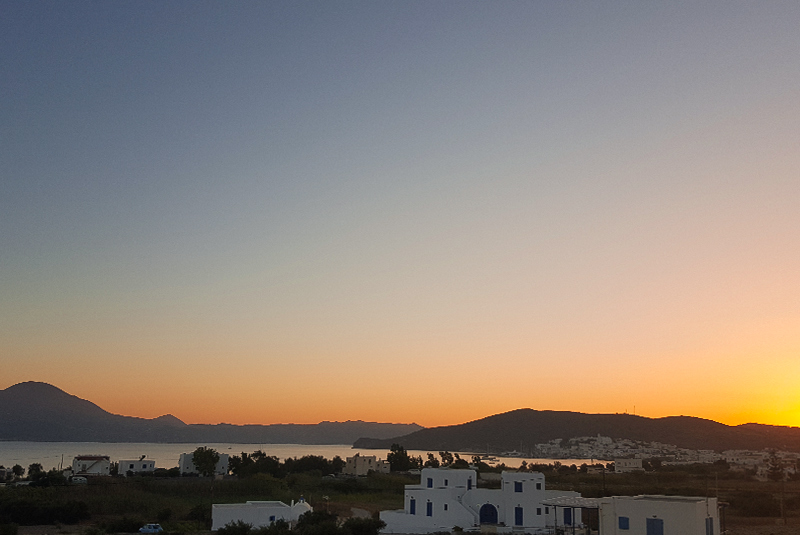 Konstantinos and his family welcome you to Milos for a relaxing vacation.